Interested in learning about the history and evolution of the Clean Water Act? Join us for a free Watershed Academy webcast entitled “History and Evolution of the Clean Water Act” on March 21, 2012 from 1:00pm to 3:00pm EDT. The Clean Water Act (CWA) is the cornerstone of surface water quality protection in the United States and 2012 marks the 40th anniversary of the 1972 amendments to this landmark environmental law. This webcast is the first in a series to commemorate the anniversary of the CWA. The Webcast will provide a brief introduction to the CWA including an overview of key components of the Act and some basic terminology. It will also include a brief history of the Act and some reflections on the evolution of the CWA. EPA’s Watershed Academy will host additional webcasts this year on different aspects of the CWA such as the Clean Water State Revolving Fund, the National Nonpoint Source Program, the National Estuary Program and other aspects of the law. 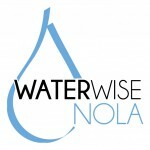 To register for this webcast, please visit http://www.epa.gov/watershedwebcasts&lt;http://www.epa.gov/watershedwebcasts&gt;. The presentation will be posted in advance at http://www.epa.gov/watershedwebcasts&lt;http://water.epa.gov/learn/training/wacademy/webcasts_index.cfm&gt;. Participants are encouraged to download the presentation prior to the webcast. Also, Webcast participants are eligible to receive a certificate for their attendance. Eastern: 1:00 p.m. – 3:00 p.m. Central: 12:00 p.m. – 2:00 p.m.
Mountain: 11:00 a.m. – 1:00 p.m. Pacific: 10:00 a.m. – 12:00 a.m.